Lorand Laskai is a research associate in the Asia Studies Program at the Council on Foreign Relations. You can follow him @lorandlaskai. China is on its way to becoming a science and technology power. Three of the five most valuable tech startups are Chinese. Companies like Baidu, Alibaba, Tencent, and Huawei are increasingly narrowing the spending gap with American tech giants on research and development. In areas like artificial intelligence, Google's Eric Schmidt and others believe China is not only poised to catch up with the United States but may soon surpass it. These trends have led many to conclude that China’s rise as a center of science and technology research will enhance China's military capabilities, allowing the country to integrate cutting-edge technology into its fighting force. As Elsa Kania warned in a recent report, China's lead in AI “could alter future economic and military balances of power.” This is neither a novel nor untested prediction. In the 1970s, U.S. researchers invented the predecessors to the modern internet and handheld GPS; twenty years later during the Gulf War, the U.S. military shocked the world by using information technology and precision munitions to channel unparalleled military might, cementing the status of the U.S. as the preeminent military power. The connection between these events is hardly incidental. The difference today is that most cutting-edge research occurs in the private sector, not government labs. Whereas the internet and GPS were pioneered in APRA-funded labs, cutting-edge research on artificial intelligence and other emerging technologies occurs in the offices of Google and other large technology companies. In the United States, the Pentagon has responded to the shifting innovation landscape by pivoting towards greater private sector engagement and establishing DIUx, its innovation outpost in Silicon Valley. The Chinese leadership has done the same, intensifying a nearly two-decade-old push to reduce barriers between the private sector and military industrial base, what the government calls civil-military fusion 军民融合. As a key pillar of Chinese military modernization, civil-military fusion is a more far-reaching and ambitious in scale than the U.S. equivalent, reflecting a large push to fuse the defense and commercial economies. This is in large part because China has a lot of catching up to do. Many observers assume that because Chinese state-capitalism blurs the lines between state and private, those lines are in effect frictionless. In reality, the opposite is true. The eleven large state-owned enterprises that comprise China’s defense industrial base, many of which until the late 1990s were Maoist-era relics, have largely cordoned themselves off from the actual economy. Although the Chinese Communist Party has established internal Party committees in large technology enterprises like Baidu and Tencent to promote Party loyalty, that linkage has not necessarily allowed China to easily translate its booming tech sector into military might. In 2010, Chinese scholars estimated that less than 1 percent of the country’s civilian high-tech enterprises were involved in defense-related activity. Chinese military planners would largely prefer an American-style defense industry that promotes the efficient allocation of resources through private sector collaboration and procurement. The “transferability of social resources” between economic and military ends is an essential component to being a great power, wrote Jiang Luming and Wang Weihai from the National Defense University in the PLA Daily, the Chinese military’s flagship publication. Since Xi Jinping ascended to power in 2012, civil-military fusion has been part of nearly every major strategic initiative, including Made in China 2025 and Next Generation Artificial Intelligence Plan. The goal is to bolster the country’s innovation system for dual-use technologies in various key industries like aviation, aerospace, automation, and information technology through "integrated development" 融合发展. In January 2017, Xi created the Central Commission for Integrated Military and Civilian Development, a new body for overseeing and coordinating civil-military fusion efforts, and, in an unusual move, appointed Vice Premier Zhang Gaoli to run the commission’s daily affairs, a role usually reserved for a lower ranking official. In this effort, various state and military actors to serve as vanguards. On the industry side, two key defense conglomerates that run some of China’s most important defense research labs, China Aerospace Science and Technology Corporation (CASIC) and China Electronic Technology Corporation (CETC), have paved the way for greater private sector collaboration. In June 2017, CETC made headlines after it successfully launched the world's largest fixed-wing drone swarm, breaking a previous record held by the United States. The drones utilized in the swarm were a commercial fix-wing model produced by Skywalker Technology, a Wuhan-based company. In the military, the recently established Strategic Support Force, which is responsible for space, cyber and electronic warfare, has energetically built ties outside the military, signing cooperation agreements with research universities and even stationing officers within an unnamed software development company. In September 2017, Li Shangfu, the deputy commander of the Strategic Support Force, was elevated to the powerful Central Military Commission’s Equipment Development Department, undoubtedly giving the force new clout over weapons development. A number of municipalities and provinces, like Tianjin, Shanghai, Shanxi, and Guangdong, have also joined the effort, promoting the development of local industrial clusters that could allow large defense enterprises to work with nearby research institutes and private companies. Despite the momentum behind civil-military fusion, the effort is not a guaranteed success. The Chinese leadership has long used market forces to reform state-owned defense conglomerates with mixed results. While over the years Chinese defense conglomerates have shed many practices that typify their bloated, inefficient past, the defense sector remains bureaucratic, secretive, and vertically-integrated. This strongly contrasts with horizontal, “move fast and break things” workstyle of entrepreneurs and innovators both in U.S. and China. As a recent white paper by two Chinese investment firms warned, unless meaningful state-owned enterprise reform is undertaken, civil-military fusion will leave many private firms shut out of the defense economy. 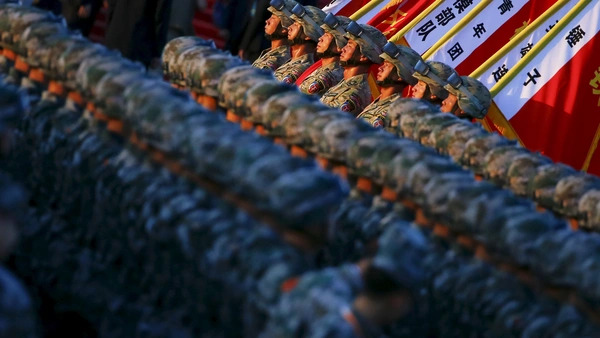 Nevertheless, China's leadership has marshaled an enormous amount of organizational energy to turn China’s military into a technologically advanced fighting force through civil-military fusion—it would unwise to write this effort off.